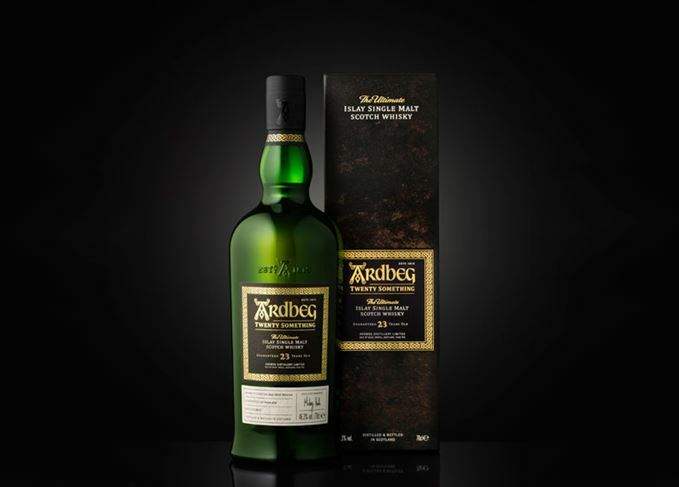 Ardbeg is to release Ardbeg Twenty Something, a 23-year-old single malt filled into cask at a time when the Islay distillery was facing an uncertain future. The new expression, non-chill-filtered and bottled at 46.3% abv, will be sold exclusively to members of the Ardbeg Committee at a price of £430 for a 70cl bottle. Ardbeg Twenty Something is a vatting of ex-Bourbon and ex-oloroso Sherry casks, filled at a very difficult time for the cult Islay distillery. Ardbeg had been closed for most of the 1980s, and operated only sporadically during the 1990s before closing again in 1996 – but the distillery was acquired by The Glenmorangie Company in 1997, which restarted production that year. Ardbeg owner Moët Hennessy said the new expression was being released exclusively to the Ardbeg Committee group of enthusiasts in recognition of their ‘enduring support’. The Committee pledges to ‘ensure the doors of Ardbeg never close again’. Distillery manager and Committee chairman Mickey Heads, who spent some time at Ardbeg while working at nearby Laphroaig during the 1990s, said: ‘This magnificent whisky was created within the retired iconic still which stands proud outside our distillery today. Dr Bill Lumsden, director of distilling, whisky creation and whisky stocks at Ardbeg, described Ardbeg Twenty Something as ‘bursting with rich, deep flavours’, with ‘an incredibly smoky, silky quality’. The release follows last year’s launch of another Ardbeg Committee bottling of a similar age, Ardbeg Twenty One, priced at £310 a bottle. Ardbeg Twenty Something will go on sale to Committee members from 2 November at www.ardbeg.com.